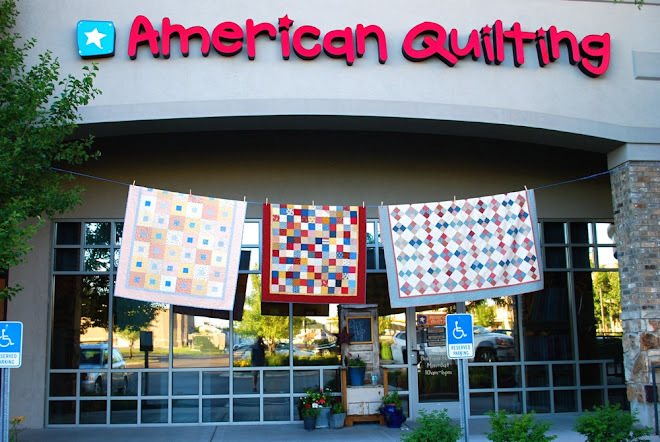 Merry Christmas from American Quilting! We will be closed December 24 & 25. We have lots of outstanding guest teachers this year including: Jena Kimball, Kim Walus (and her famous Dresden Plates pictured above), Connie Cawley, Carol Adams, Nanette Merrill, Lori Holt, Joyce Weeks, Jill Finley, MaryAnn Carter, Sherrie Allred, and Brenda & Bonnie Bailey.